Many people move to Colorado Springs to start a new job or move up in their careers. However, it is a big project and you need the right mover to make sure the transition goes well. Since 1977, Simonik Moving & Storage has been the mover that customers turn to for the task of moving from NJ to Colorado Springs. As a BBB-Accredited company, we are also committed to providing quality service. 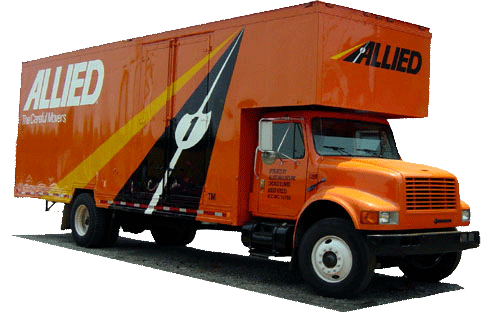 We've even taken steps to become a part of a nationwide network of moving and storage professionals as an agent of Allied Van Lines. Our team can handle household moves to any location in the United States. From packing to heavy lifting and toting, it's important to find a moving company that can handle all of your needs when moving to Colorado Springs from New Jersey, small and large. We'll show you that we can handle the job by first providing a free in-home estimate of moving costs. You'll also be assigned a Relocation Coordinator who will answer all of your questions and guide you through the moving process. If you aren't ready to receive your furniture and household items at a new property, Simonik can also provide short and long-term storage. Our team packs household items in containers designed for long distance shipping and these containers are also ideal for storing property for any amount of time in our secure warehouse facility. When you have finished your move from New Jersey to Colorado Springs and are ready to accept your belongings, we'll bring them directly to your door. If you are planning a relocation, reach out to us by phone to learn more about our NJ to Colorado Springs moving services. To find out how much it will cost, you can use our online quote request form right away!